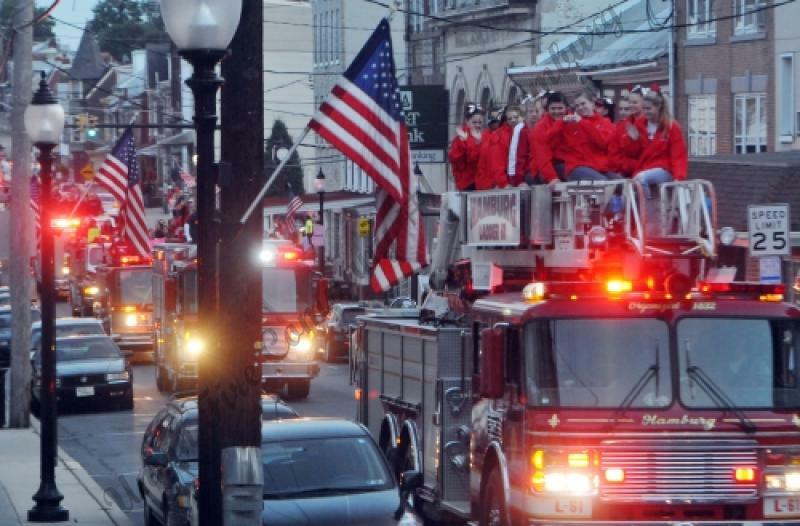 With lights flashing and sirens blaring, firetrucks carried Hamburg High School student-athletes through the borough Tuesday night in a show of school and community pride. 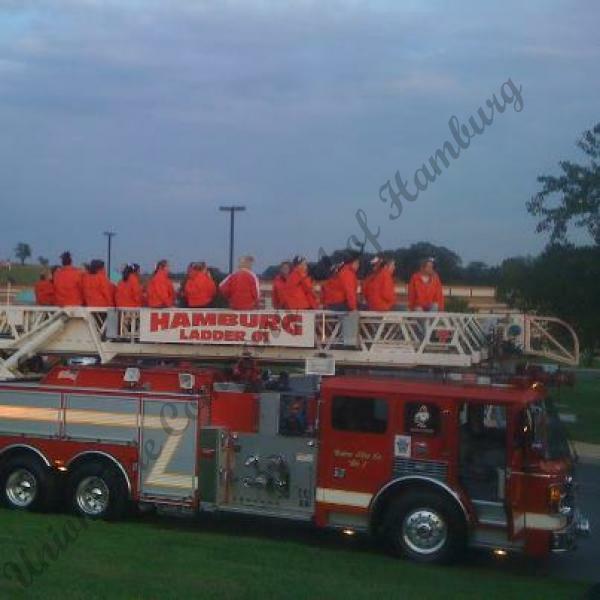 In anticipation of Hamburg's homecoming on Friday, students, parents and other district residents cheered members of the high school's sports teams. "It is about firing up the community," said Brad Valentino, who coaches cheerleaders with his wife, Nicole. "It is a great way to get our community involved and excited for our sports, and it is a lead-up to the football game." Friday and Saturday will mark a sports-filled homecoming for the school. Hamburg will face Kutztown in football at 7 p.m. Friday. Then the two schools will continue their rivalry Saturday with field hockey at 10 a.m., girls soccer at 1 p.m. and boys soccer at 4 p.m.
All games will be played at Hamburg High School. 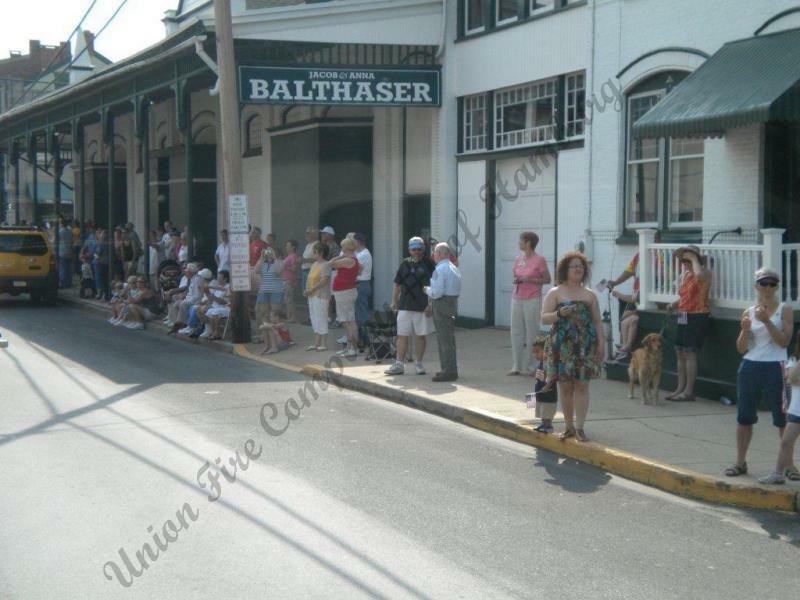 Traveling from Hamburg Middle School, Tuesday's parade made its way along Fourth Street and then doubled back down Third Street. "The ride is always well-received," Valentino said. 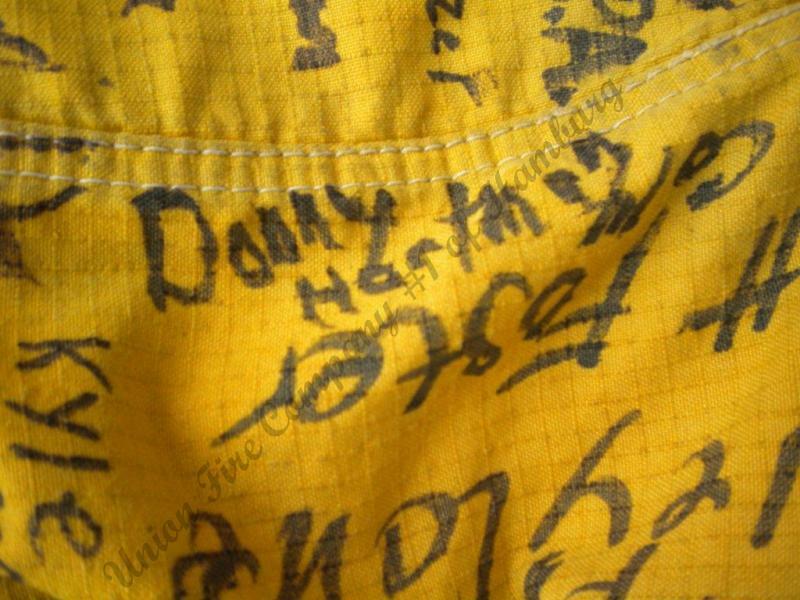 "Parents and alumni always love to see the guys and girls that are on our teams, and the kids really like it, too. 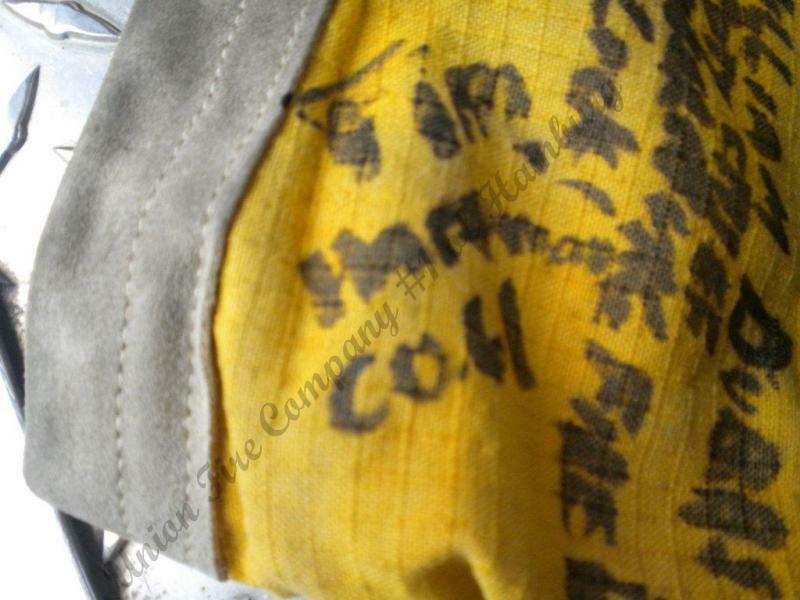 "It's a great way to give them some recognition and build some hometown pride." This morning Deputy Chief Emes received a unexpected phone call from Strausstown Deputy Chief Jeremy Bentz regarding a unexpected visitor that would be on his way to the UFC. 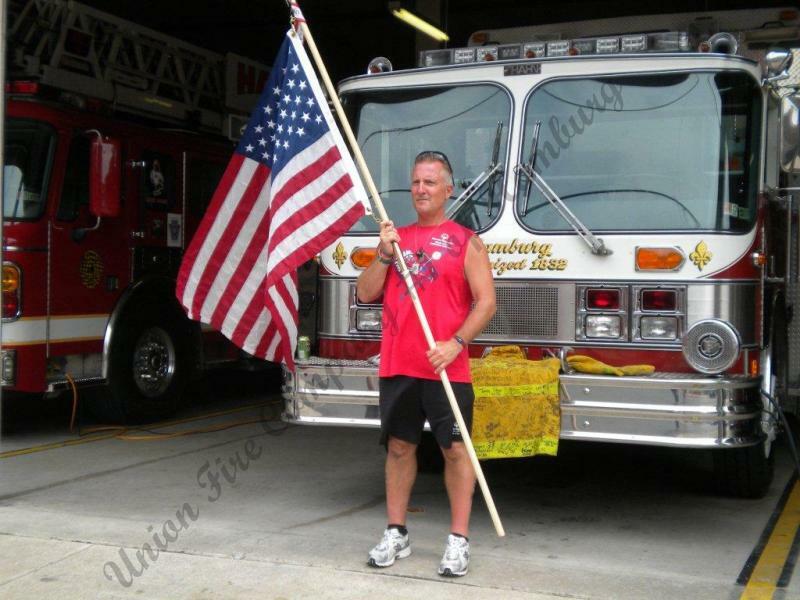 Joe "Tiger" Patrich Jr is on his way to Ground Zero from Washington DC and where he plans on arriving on foot by September 10, to pay respects to there folks who lost there lives on the Terrorist attacks on our Country. Joe woke up early today from the Strausstown Fire Company Community center and arrived around 1230. Members from the public and from the 61 house gathered to welcome Joe to his new home for the night. 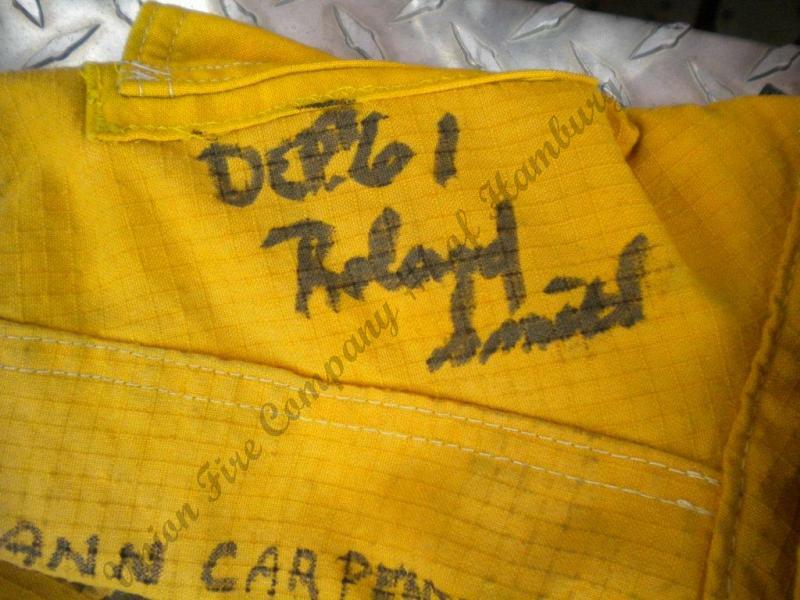 Here crews were able to get Joe a good meal from Hecky's, and helped him make a few quick stops at Cabelas and Threns Auto to help him make some repairs to his camel water pack and to his flag pole that he carries with him that bears the American Flag. As the day went on Joe was given a few T-shirts and also a few of the company patches. 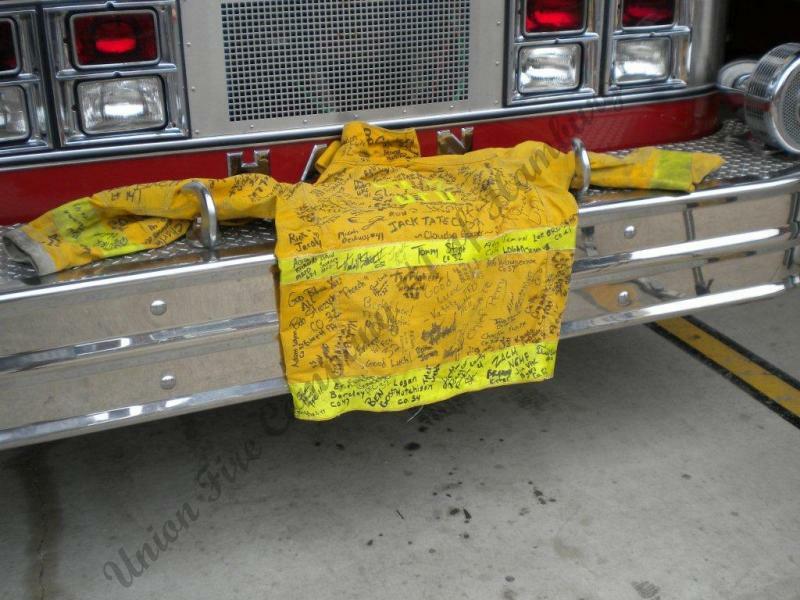 Joe will be station at the Union Fire Co until the early hours tomorrow when Joe will begin his 20 mile trek along Old 22 to Foglesville where he will meet up with Deputy Chief Brad Rader and the members from the Fogelsville Vol Fire Dept where arrangements were made for him to stay on his trek to Ground Zero. 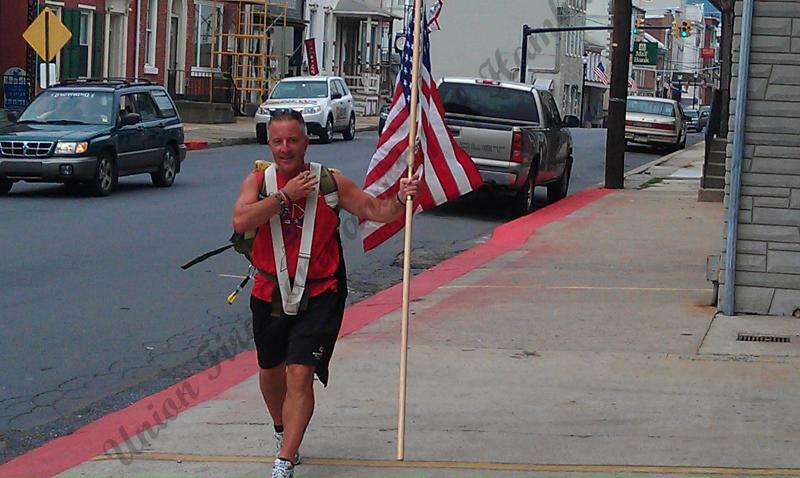 If you see a man walking along Old 22 on his way to Allentown, with a sign that says On My May To Ground Zero and carrying a American Flag, give him a hello honk and a good wave and wish him best of luck on his trek. 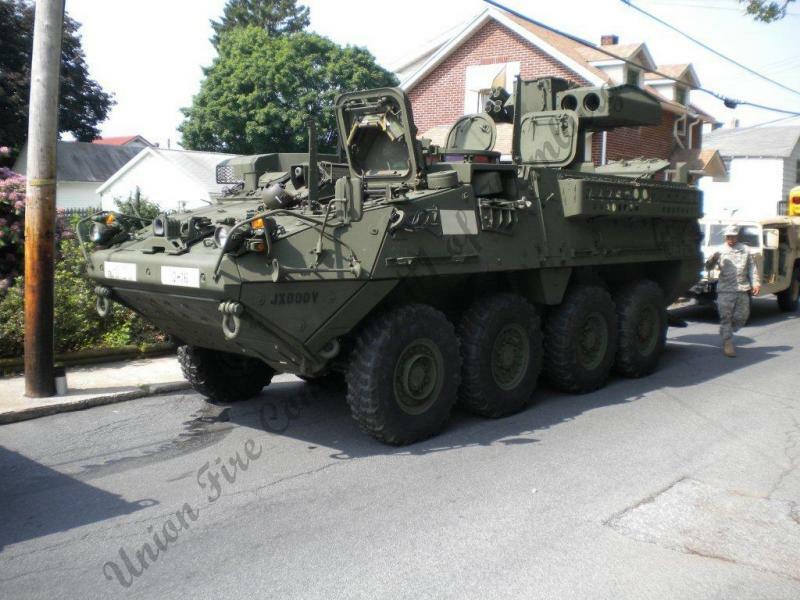 Crews staffed RE-61 and L-61 to participate in the annual Memorial Day parade in the Borough. 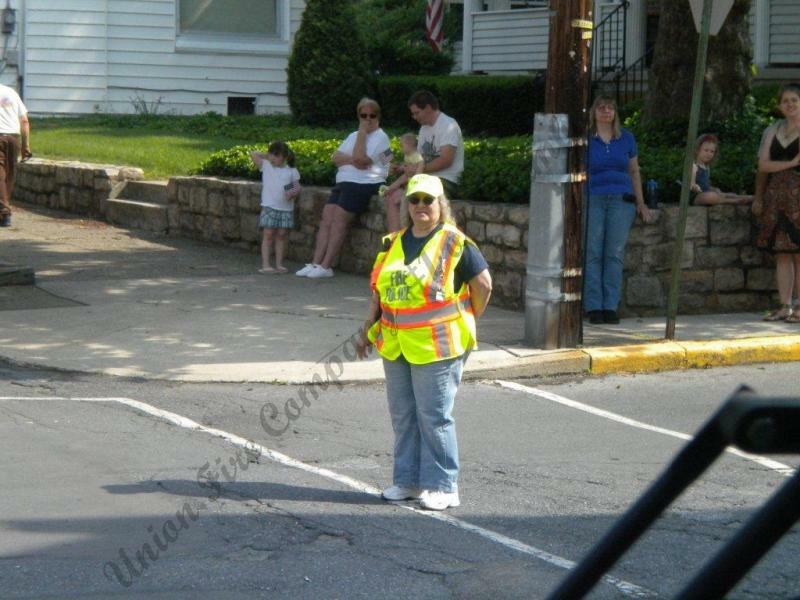 Fire Police where assisting with traffic contral throughout the parade route. 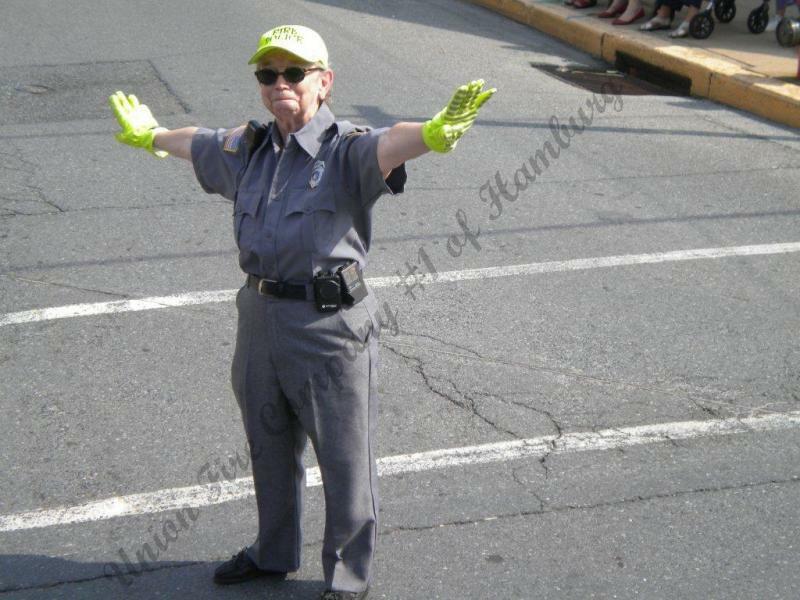 This years parade honored Chief Master Sgt. 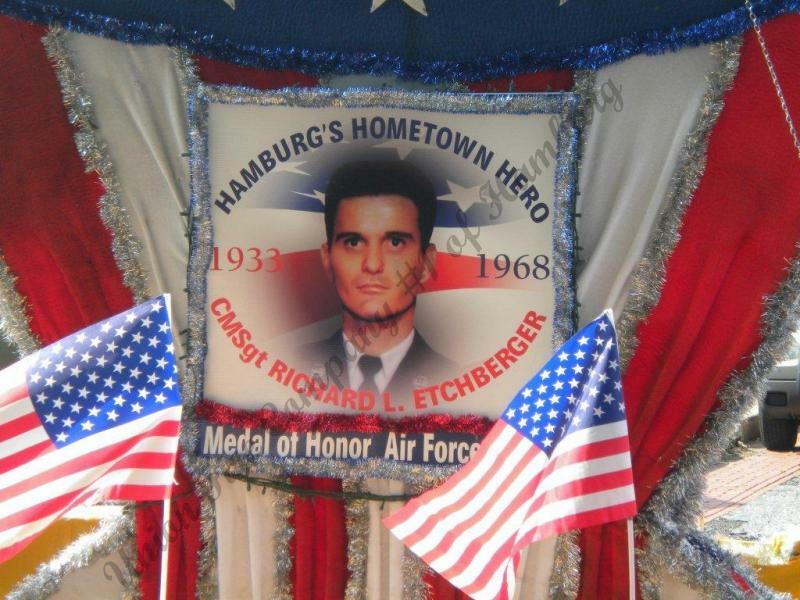 Richard L. Etchberger, a Hamburg native who posthumously received the Medal of Honor. Tiger Scouts from Cub Pack 184 visited Union Fire Co. No. 1 of Hamburg on Wednesday January 13, 2010. 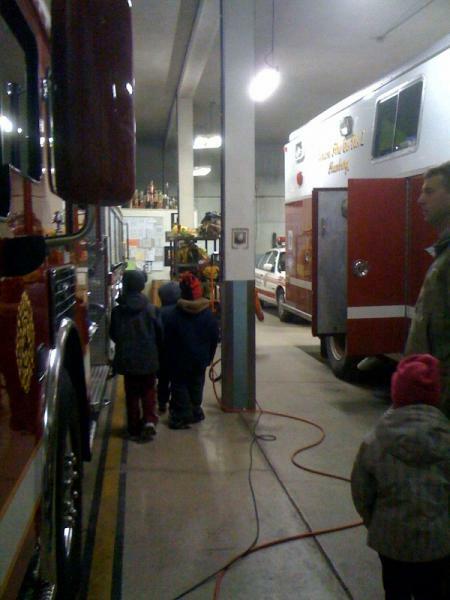 About 14 tiger scouts visited the fire company and were shown various things. Firefighter Daren Geschwindt volunteered to discuss various things with the scouts. 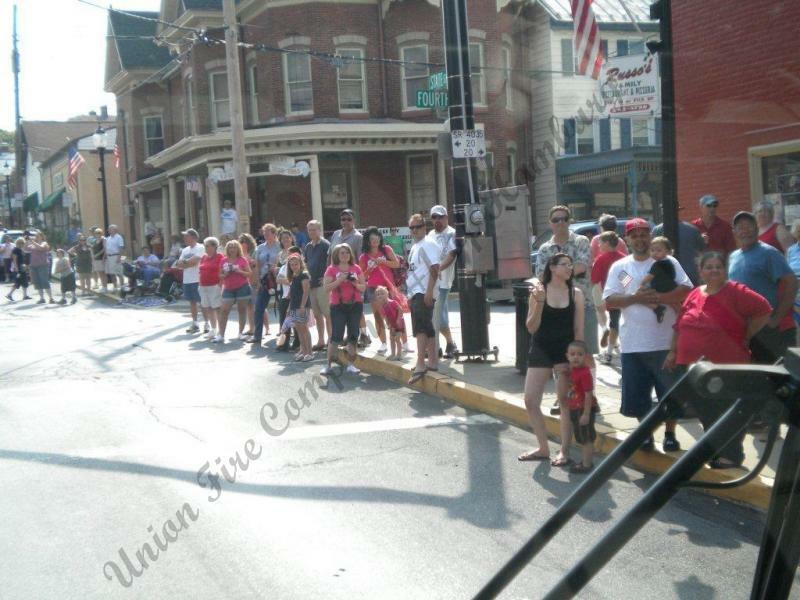 Geschwindt showed the interested youngsters all of the fire apparatus that is contained within the station. Kids were shown many compartments on the apparatus, and how to use some tools that are within the compartments. The scouts were shown what a firefighter in full turnout gear looks like, and were told to not be afraid of a firefighter that is wearing an SCBA (self contained breathing apparatus). 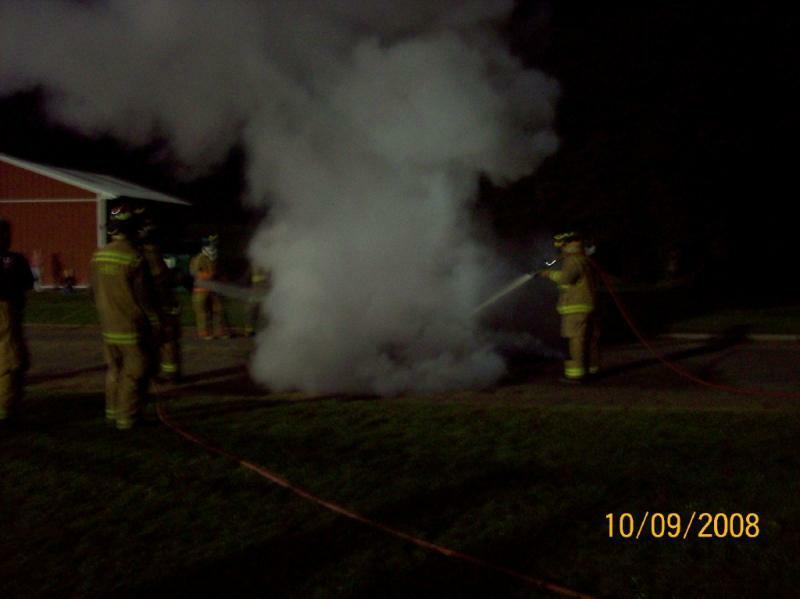 It was explained to them that although the firefighter may look, and sound, a lot like Darth Vader, not to be afraid. The firefighter is there to help them. 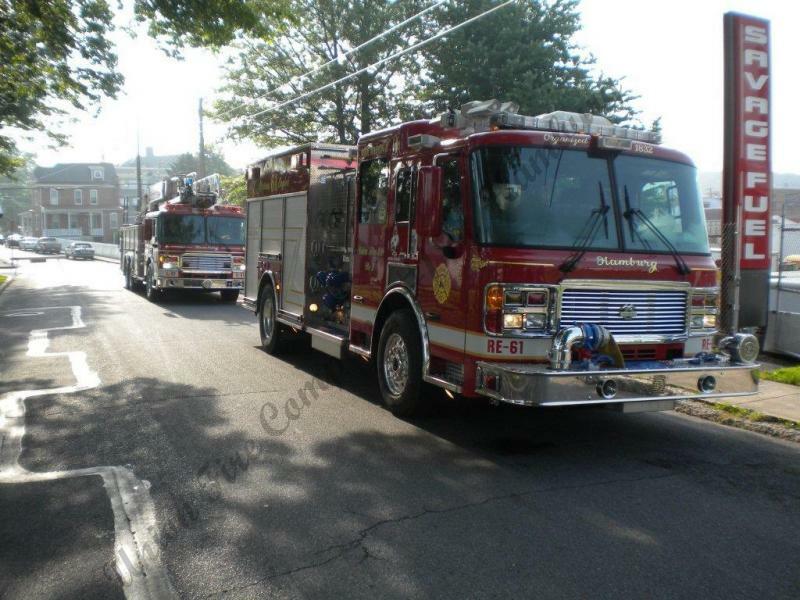 The Tiger Scouts were given the rare opportunity to go for a short ride inside Engine 61-3. They absolutely loved every minute of it. Each scout was given a fire helmet that they were able to keep to remind them of everything they learned while they visited the fire station. Company 61 would like to thank Cub Pack 184 Tiger Scouts for giving us this teaching opportunity. We always appreciate and love seeing the looks on the kids face as we amaze them. 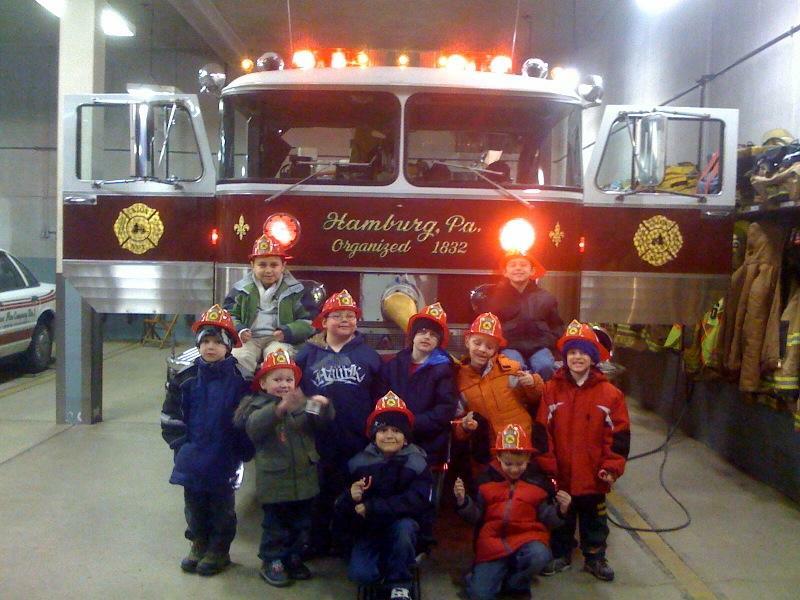 Tiger Scouts showing off their new fire helmets, sitting on the bumper of Engine 61-1. Tiger Scouts examining the fire apparatus. 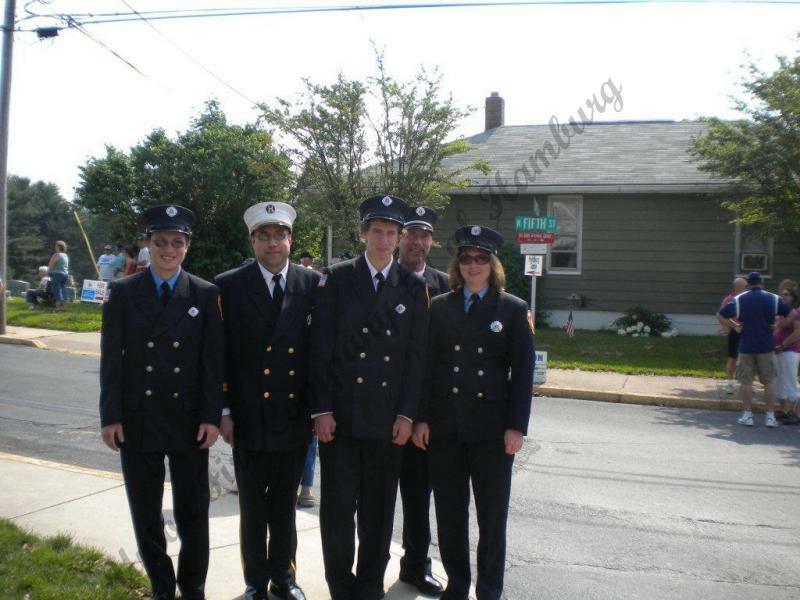 Members of Union Fire Co. No. 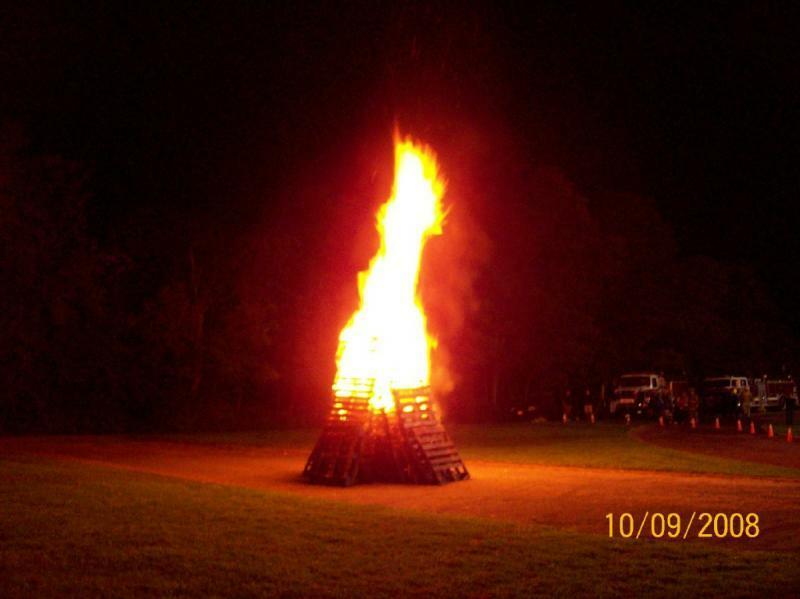 1 Hamburg participated in the Annual Homecoming Bon Fire on Thursday October 9, 2008. This is a tradition that is always enjoyed by everyone that attends. 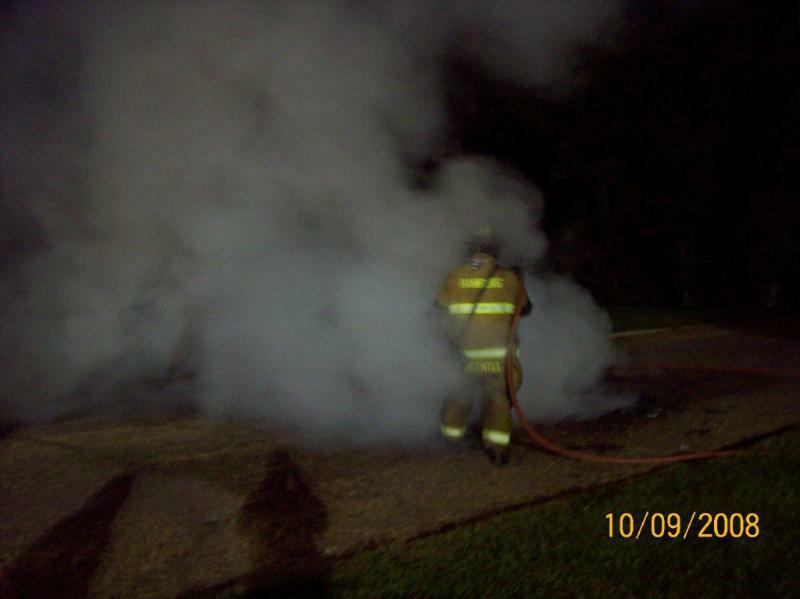 After the event the fire was extinguished by the crews on scene.